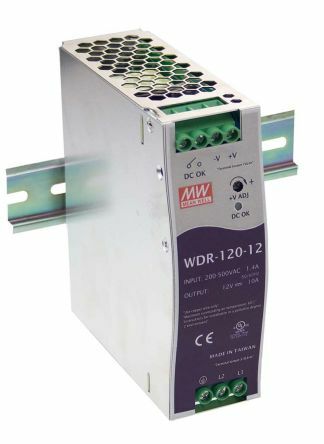 A range of ultra slim single output DIN Rail power supplies with short circuit, overload and over voltage protection. These PSUs can be installed on DIN Rail TS-35/7.5 or 15 and offer cooling by free air convection. The flexibility of DIN Rail mounting systems enables quicker installation time as all devices are able to simply snap onto the metal rails. Power supplies can be easily organised on DIN Rails within enclosed wall boxes or in areas where there is limited space. Similar devices can be mounted next to each other reducing the amount of cabling required. Most power supplies are convection cooled so no cooling fans are needed. 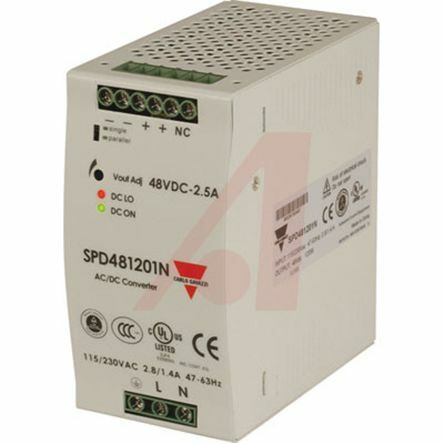 DIN Rail AC/DC power supplies are widely used in many automation, instrumentation and industrial applications. They are used to power a wide variety of DC operated devices including sensors, motors, actuators, solenoids and relays. DIN Rail size– There are three common types of DIN Rails. Top Hat, G section and C section. Most have a depth of 7.5 mm or 15 mm. It is wise to check that your power supply is compatible with your DIN Rail. Protection Types – It is important to choose a power supply that is protected against either short circuit, overload, over temperature or over voltage. 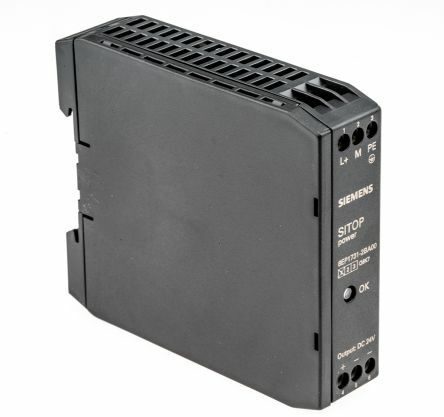 Some power supplies also offer a hiccup mode which will allow the PSU to resume operation once the fault is cleared. Fixed or adjustable output voltage or current – In test systems it is often convenient to have adjustable DC voltage however in other applications a fixed DC supply may be essential. Cabling and wiring – The input/output lines to and from the power supply should be as short as possible with a large cross sectional area to help minimise noise and heat. Efficiency – Choose a power supply that has an efficiency over 89% to minimise the amount of power dissipation, especially if the system relies on convection cooling. 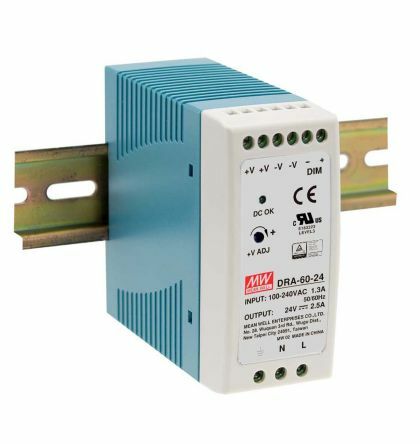 Input voltage range – If the DIN Rail power supply you are buying is to be used in Europe and North America as well as the UK then a universal AC input range of 80 V ac to 264 V ac is required. Standards – If the power supply is to be used in the USA for controlling electric motors then it will need to comply with Standard UL508, the safety standard for industrial control equipment.